Nearly a third of victims end up dying because they remained behind in evacuation zones or waited to leave until the last minute. Your life, and the lives of your loved ones is worth so much more. Spending the night away from home is ultimately the wisest choice, even if the storm changes directions or doesn’t end up being as bad as predicted. It is always better to be safe than sorry. This seems like common sense to most, but there are still people who make this mistake. High winds, torrential downpours, and flying debris make venturing out much too dangerous. Huddle inside your home until the storm is over. And do not watch the storm from a window. It can be hard to resist a peek at the flooded streets and fallen trees, but something could shatter your window and the combining glass, water, and wind is extremely dangerous. You also must be careful about the respite caused by the eye of the storm. The calm might trick you in to thinking the hurricane is over. Turn your radio to the NOAA and wait until the storm dies down completely. 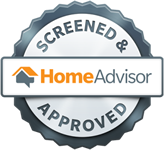 Prepare early to protect your home. 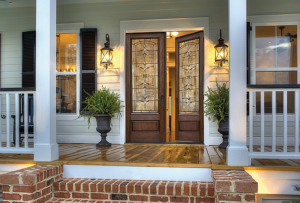 Hurricane shutters or impact-resistant windows and doors that meet current building codes are the best options. Plywood should only be used as a last resort, and must be properly secured with the right hardware if you want to protect your home. Tarps and tape will be useless in a full blown hurricane, only succeeding in giving you a false sense of security. Because windows and doors are the weakest link in your exterior envelope, they are the last place you want to be. Do not brace yourself against an exterior door to keep it from blowing in. Standing behind them only puts you directly in harm’s way. Instead, get as far away from exterior windows and doors as you can. You should also avoid the basement if water is rising. You or a loved one could easily trip or be trapped down there. 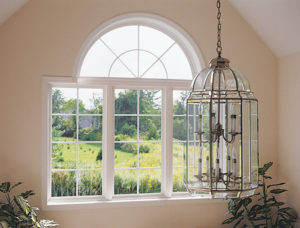 Many homeowners try to equalize pressure in their home by cracking windows. What they don’t realize is the sudden pressure needs a way out. Usually another window or door will be the first thing to break. But the wind could also blow off the roof of your home. So close off your home and keep the pressure outside. Planning is important. So gather supplies and make a plan to protect your home and your loved ones. 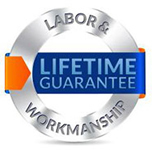 If you are interested in getting hurricane shutters or impact-resistant windows and doors in Bradenton, FL, call us. 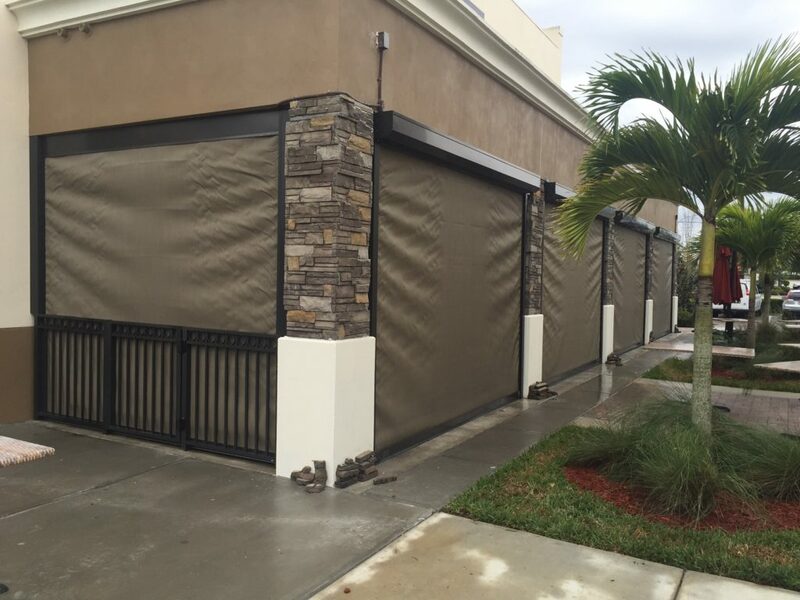 At Armored Dade Window and Shutters we want to do all we can to help protect our neighbors. 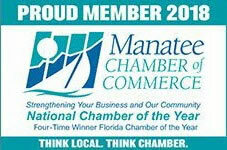 You can reach us at 941-798-9010 or stop by 8112 Cortez Rd. West, Bradenton, FL. 34210.